Join over 35,000 health care professionals who get their news from us! Sign up for your FREE subscription to our monthly enewsletter. Stay up-to-date on all the hot topics, regulations and guidelines in nutrition and long term care. You won’t want to miss a single information-packed issue. 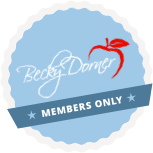 Note: All email addresses are kept private and used only by Becky Dorner & Associates.